In Meso-America the surviving cloud forests are nearly always mountaintop forest reserves surrounded by developed croplands and ranches. 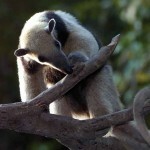 These forests are truly islands of nature in the sky where countless unique species are protected. Eventually, if these isolated islands of life are to survive, they must be linked up via a system of corridors as part of a larger Meso-American biological corridor project. 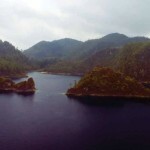 One of the premier protected areas is Monte Bello Lakes National Park, which sits right on the border between the Department of Huehuetenango and the Mexican State of Chiapas. Nestled in the mountains of northern Huehuetenango is the little Guatemalan village of Quetzal, perched above the shore of Lake Tziscao, surrounded by cloud forest. This little town was inaccessible until recently when a new, reasonably good road was punched through, making this unknown highland area accessible to travelers. 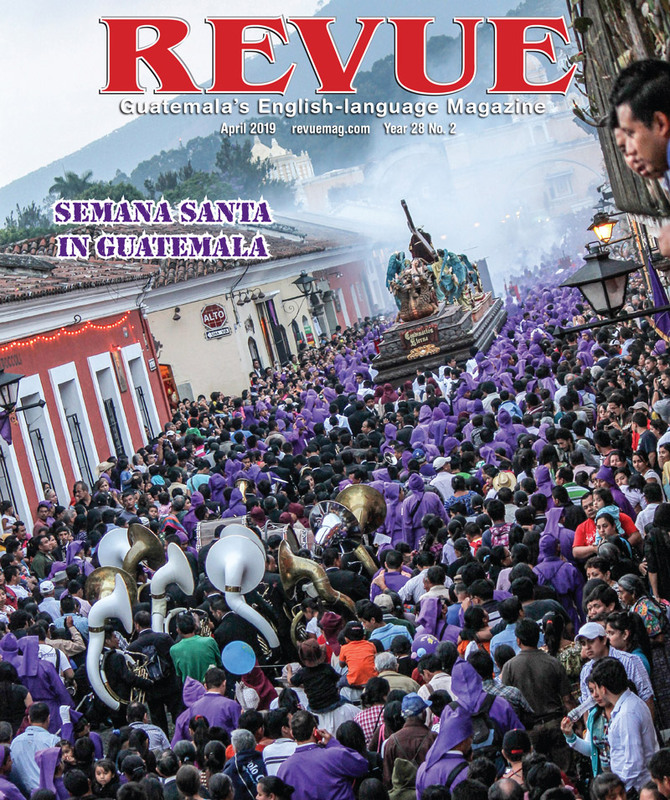 The history of Quetzal village is a uniquely Guatemalan story. About 150 years ago the first settlers arrived at Lake Tziscao, arriving by foot, along with a few cargo mules, from the village of Nentón. They brought little more than a few sacks of corn and beans, machetes, axes and a few pots and pans. They found life by the lake good and soon these first scouts were joined by their women. Within a few decades eight families had settled on the north shore of the lake and it was becoming a proper village. At the time the Guatemalan pioneers assumed that they were still in Guatemala. Only much later, when more exact and detailed surveys were conducted, was it discovered that half the community of Tziscao was on the Mexican side of the border and the other half was on the Guatemalan side. It was then that the village was divided into the now twin towns of Tziscao and Quetzal. The community remained very small—a few hundred souls—until the early 1980s when there was a big influx of new settlers. The U.N. High Commission on Refugees along with the International Red Cross established a camp at Tziscao to look after some of the tens of thousands of Maya refugees fleeing the war in Guatemala. Years later, many of these refugees returned to their villages in Huehue, while some others, having grown to love the Tziscao area, decided to stay. At present the population of the twin towns is around 2,000, and many are involved with what is becoming a burgeoning trade, selling souvenirs to tourists visiting the lake region. Monte Bello Lakes National Park is a complex of more than a dozen pristine highland lakes sitting within unspoiled pine and broadleaf forests. The lakes are famous for their incredible emerald-blue color. The climate is cool and the water temperature is brisk. 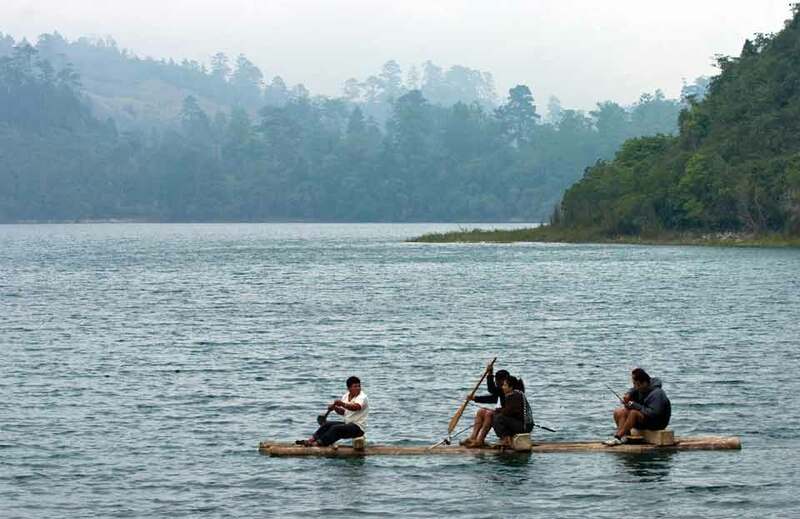 Tziscao is the largest of the lakes and sits right on the border. Mexican park authorities along with local residents had the foresight to prohibit motorboats on all of these lakes to preserve water quality and maintain a tranquil atmosphere. Guatemalan authorities might want to take this into consideration when planning further development. 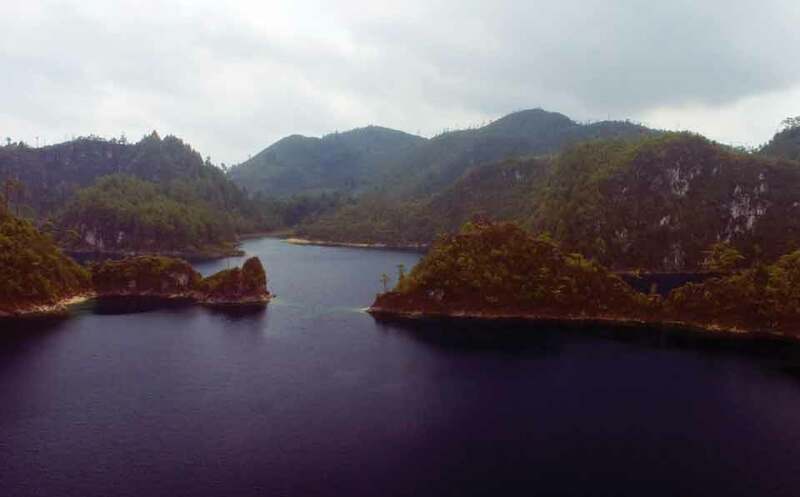 Lake Peten Itzá, for example, can still be saved. From the village of Quetzal it is an easy walk over to the town of Tziscao on the Mexican side, where rustic but comfortable cabins can be rented for a night or a longer stay. 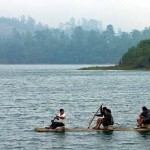 Locals offer a cruise around the lake on balsa rafts paddled, gondola style, by your guide. 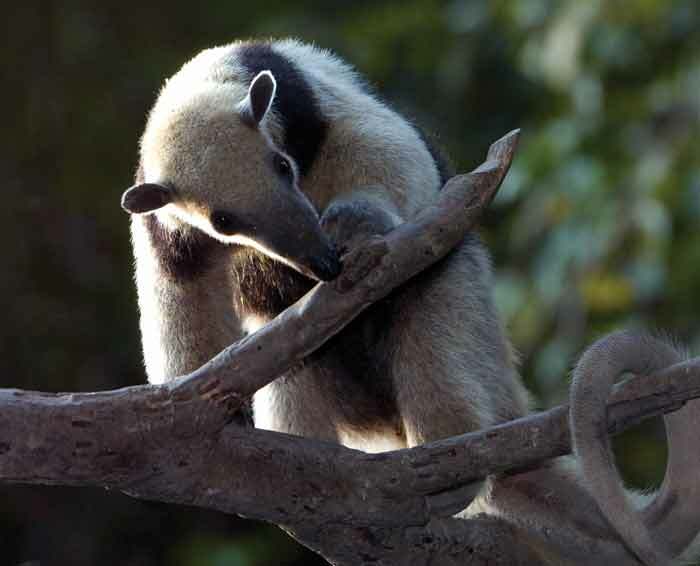 A half hour up the road is the entrance to the Five Lakes area, where there are nature trails and visitors have a chance to view resplendent quetzals, chachalaca guans, coatimundis, grizon, tayras, peccary and many other cloud-forest denizens. 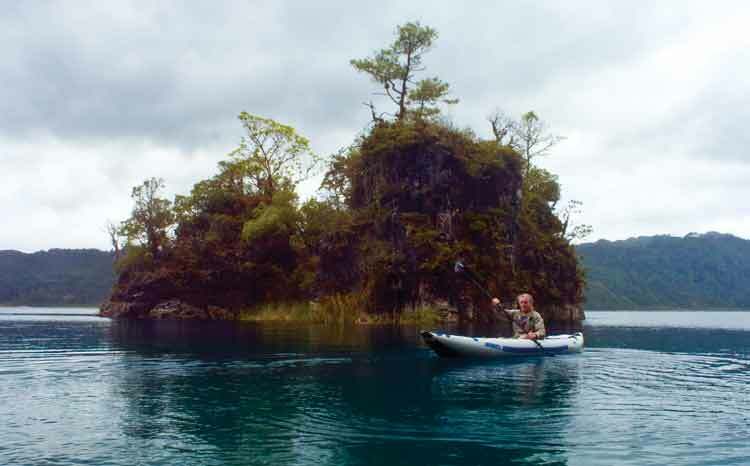 Guides on both sides of the border can arrange to take you on an expedition to pristine Laguna Brava Lake on the Huehue side. This requires a trek through the jungle of several hours but affords the explorer a much better opportunity to see the wildlife of the region. 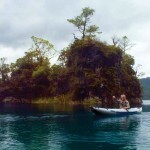 There are two ways to get to the village of Quetzal and Lake Tziscao: the easy way, and the scenic route. First, the easy way. Drive the Interamerican Highway to Huehuetenango and continue north to the border at La Mesilla. Cross the border into Mexico and continue driving north toward Comitán. About an hour and a half up the road you will reach the town of Trinitaria. Here you will see big signs directing you to Lagos de Monte Bello, another half hour to the east. 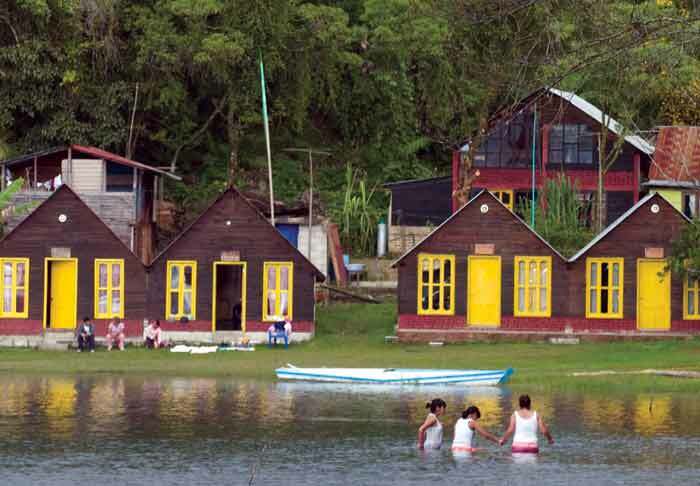 Continue to the town of Tziscao on the shore of Lake Tziscao. Quetzal is the twin town. Side Trip #1: For those choosing the easy way to Lake Tziscao, there is an excellent side trip along the way that is recommended. Halfway between the border and Trinitaria you will see signs for the Lago de Colón, located not far off the main highway. Colón Lakes is a developed community nature reserve comprised of crystal-clear cenotes (caves whose ceilings have collapsed, forming lakes) and many large, crocodile-infested lagoons. Within the reserve is the Lagartero Island Archeological Site with numerous pyramids and other structures. This reserve is an excellent place for bird watching, and nice accommodations and restaurants are available. 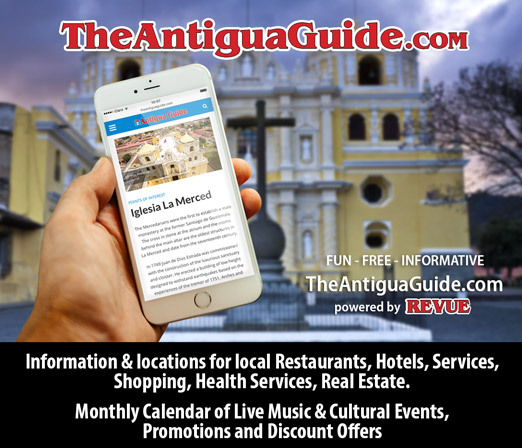 Side Trip #2: When you arrive in Trinitaria, on your way to Monte Bello National Park, you may continue another 10 kilometers north on the main highway to the city of Comitán. The residents of Comitán obviously take great pride in their city because it is very clean and well kept with numerous beautiful parks; flowers are everywhere. All facilities and accommodations are available in Comitán, even Walmart and Sam’s Club. Sorry, no McDonald’s. You will have to content your taste buds with scrumptious quesadillas, tacos, gordas, gringas and guacamole. 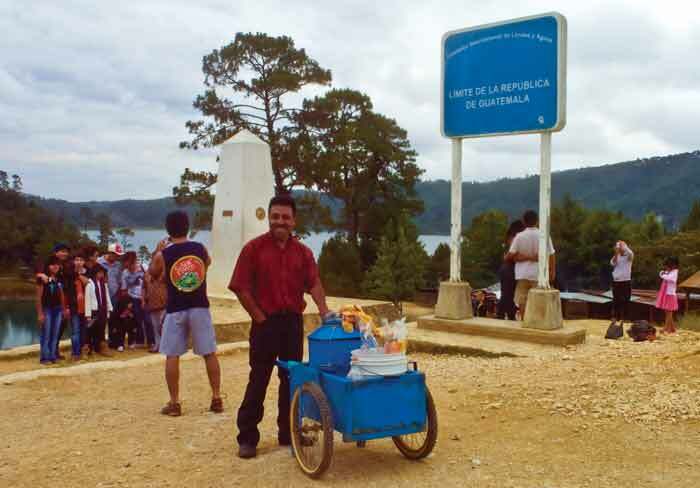 For the scenic route you also take the road between Huehuetenango headed for La Mesilla. About an hour north from Huehuetenango, you reach the town of Camojá, where you turn right and continue on paved highway to the next town of Nentón, a one-hour drive. From Nentón it is another hour drive to the next town of Trinidad. Along the way you cross beautiful Río Azul, a good picnic site and great place for a dip. From Trinidad it is a 40-minute drive to Quetzal on an unpaved road, and this is the only part of the trip where the road could be somewhat rough depending on how much it has been raining. Normally any vehicle with reasonable clearance can make the trip with no problem. Nevertheless, a 4X4 would be an asset if the road has deteriorated. As always when traveling in the Guatemalan outback, ask the locals about road conditions. Things can change from one season to the next. This is part of the magic and challenge when one takes The Road Less Traveled! 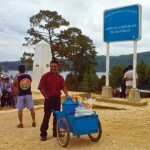 With Guatemala on one side and Mexico on the other, this is a popular photo-op site.